Find your iPhone work a bit slower than it had just been bought? Have you missed any important phone calls because of powering off? Maybe, close some background Apps on iPhone would help. 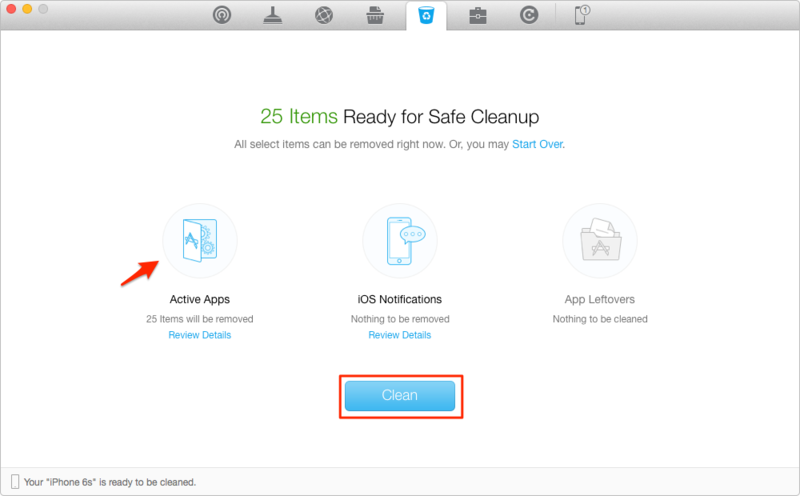 Download and take a tour of PhoneClean so that you can use it after reading this "How to Close Background Apps on iPhone" guide. Relying on the iPhone much greater than ever before. In this rapid society everyone desires to have a responsive iPhone. If you are a novice at using iPhone, you're very likely to squeeze various applications into your iPhone. For most time, iPhone users have the lightest awareness that apps running in the background would take up valuable memory, they slow down an iPhone and they use extra power as well. You access the multi-task bar on the iPhone by pressing the home button two times quickly and then the background apps will appear in a popup menu. In order to close those apps, you need to press down on app icon in the bottom until a red circle with a minus sign appears on each item. Finally you can close them by tapping the minus sign next to each application. It is rather tedious to close in this way, isn't it? To easily reclaim some valuable space for your entertainment files. To keep your privacy in safe hand from prying eyes. To speed up your iPhone by optimizing iOS system. Step 1. Run PhoneClean, and connect your iPhone to computer. 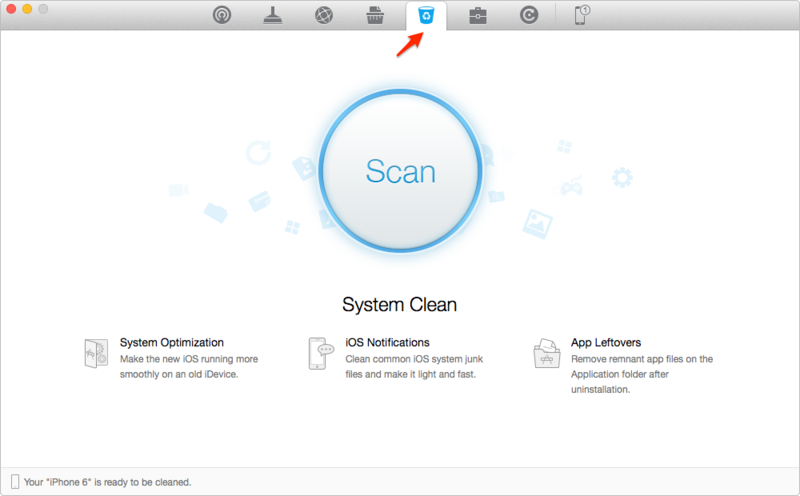 Click System Clean, and start scan. Step 2. 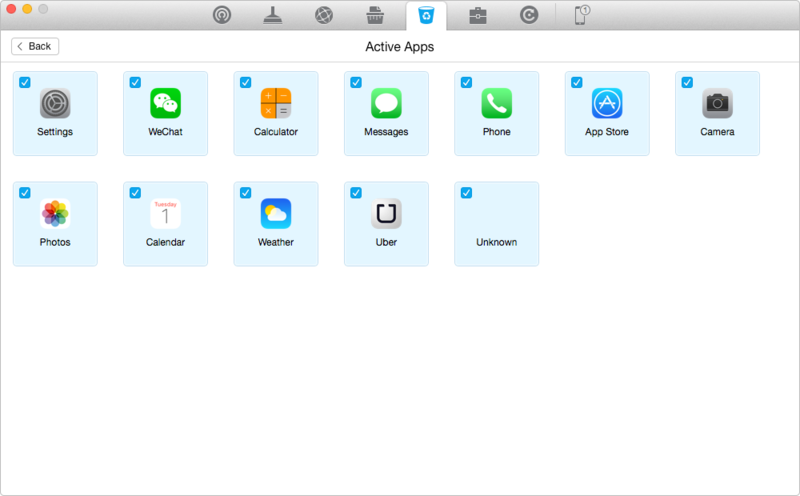 Double click Active Apps, view and choose the background apps you want to close, and then back to the result page. Step 3. You need to turn off Find My iPhone app on your iDevice. Then Click Clean to close the active apps on iPhone.